With eating disorders having a higher mortality rate among girls and young women than any other mental health condition, eating disorder groups across Canada will mark Eating Disorders Awareness Week 2017 with a new campaign to reinforce the message that eating disorders are not a choice. 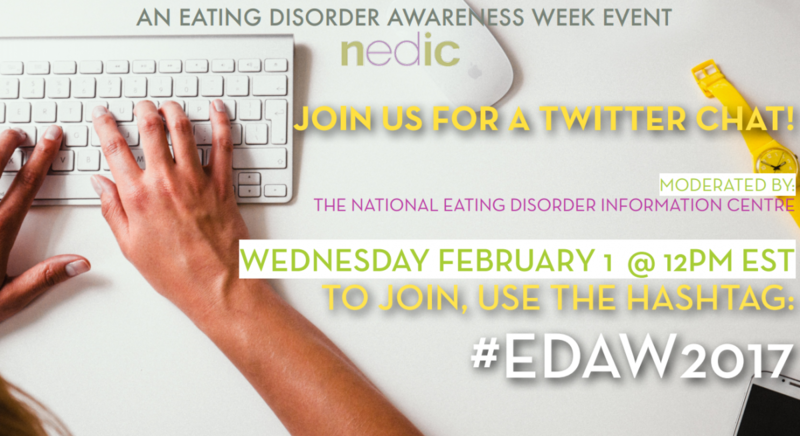 From February 1 to 7, the National Eating Disorder Information Centre (NEDIC) and other groups across the country will host a variety of awareness-raising and educational activities to help dispel the myth that eating disorders are just a phase or a diet gone too far. 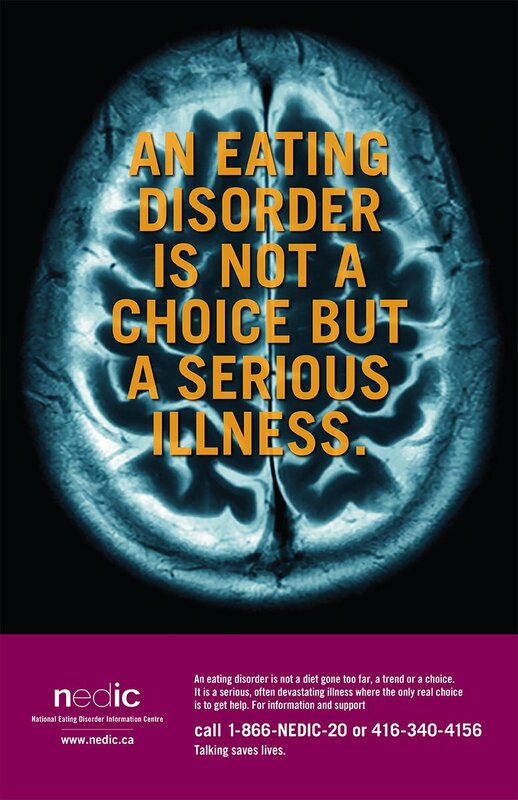 Using the hashtags #NotAChoice and #EDAW2017 (or #SEMTA2017 in French), they will spread the message that eating disorders are serious biologically-influenced mental illnesses with potentially life-threatening consequences — and they can affect people of all ages, genders, classes, ethnic backgrounds and abilities. Six provinces and more than 50 municipalities across Canada will participate in Eating Disorders Awareness Week activities. Dozens of notable landmarks will be lit up in purple throughout the week to raise awareness of this important cause, including the Peace Bridge in Niagara Falls, the High Level Bridge in Edmonton and City Hall in Vancouver. An estimated 600,000 to 990,000 Canadians are living with an eating disorder at any given time — a number greater than the combined populations of Prince Edward Island, Nunavut, Yukon, and Newfoundland and Labrador. Those seeking support can contact the NEDIC Helpline toll-free at 1-866-633-4220 from 9:00 a.m. and 9:00 p.m. EST, Monday to Friday. For more information about Eating Disorders Awareness Week 2017, visit www.nedic.ca. Hey Buddy!, I found this information for you: "Eating Disorders Awareness Week 2017". Here is the website link: http://shesinfluential.com/2017/01/30/eating-disorders-awareness-week-2017/. Thank you.